Book Readers Heaven: Book One of the Huntress Moon Series by Alexandra Sokoloff - A Totally Unexpected Thriller! 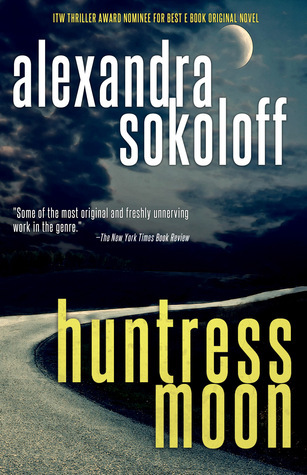 Book One of the Huntress Moon Series by Alexandra Sokoloff - A Totally Unexpected Thriller! 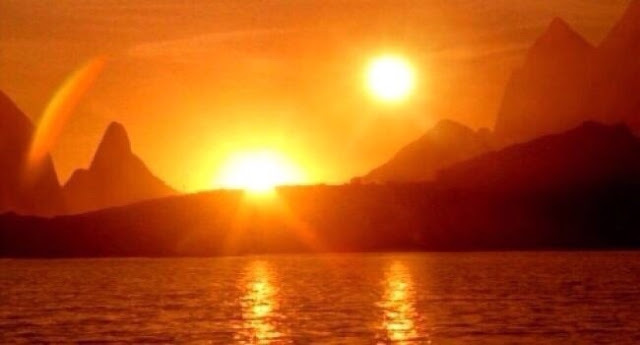 A Hunter's Moon doesn't create the illusion of two suns, isn't a miracle, occurs annually, and online images purporting to show this year's Hunter's Moon are actually much older. ...all morning Roarke had had a bad feeling. He'd woken from an old childhood dream of a lurking monster, and it was the damn dream that had him most spooked; it always came up in times of extreme stress or anxiety and it never boded well. He didn't think of any of this as psychic or precognitive; he'd been an investigator for far too long not to know that the human brain processes information too fast for the brain's owner to be aware of exactly where those subtle signs and warnings are coming from. Something had been off about Greer's last reports and had triggered early warning bells in Roarke's head. Cops called in "Blue Sense" or "Spider Sense--"
A horn blasted in Roarke's ear, startling him back to the present. He'd almost stepped straight into traffic on the busy street. He lifted a hand in apology to the car that had just missed him, then breathed in and waited five more seconds for the light, and sped through the crosswalk toward the appointed meeting place. It was a Peet's Coffee, perched halfway down the block of a steep incline, one of those streets that give San Franciscans some of the most toned asses and thighs in the continental U.S. Roarke slowed his pace slightly to cushion the shin-jarring descent. The Peet's had a fences in outside seating area with wrought-iron tables and chairs, set off from the curb with flowering planters. The meeting was arranged to look like a chance encounter, two random businessmen in suits, bumping elbows at the counter. Roarke started to turn into the cafe, when something made him turn his head--and he saw Greer on the sidewalk across the street, about to cross mid-block. The men did not acknowledge each other in any way; that was not the plan. But Roarke felt a tidal wave of relief, seeing him. Safe, he thought, and thanked whatever God was out there. But Roarke didn't turn away, because that was when he saw her, standing on the sidewalk, just a bit behind Greet. She was medium height, tall in boots, and slim, with long, lithe muscles like a cat. This Roarke could see because her arms were bare, even in the brisk air; she wore a form-fitting black top with a turtleneck. There was something fetishy in the combination of bare arms and high neck that was arresting, bt so was everything about her, her past-the-shoulder blond hair and black sunglasses, the way she stood in tight black pants and boots. The city was full of striking women, that was not what drew him. And for that weird second, he felt that he knew her, too. He would remember every detail of that moment for a long, long time. The sun of her hair, The stretch black of her turtleneck and the taut muscles of her arms. The gleam of chrome on the truck. The violent purple irises in the flower stand behind Greet. The smell of exhaust and coffee. Roarke was still looking at the street, at her, when the truck rumbled by, a huge semi-which momentarily obscured his view of the woman in black. And then there was the screeching of worn brakes straining against the downward plunge of the hill. and Roarke turned just in time to hear a sickening thud and see blood exploding over the truck's front grille and a man's body flying, and then there was screaming, one scream on top of another, and male shouting, a building wave of panic. And then the woman was gone and the sidewalk was crowded with people turning away or shrieking in horror... and through the chaos and the screaming Road realized he had just watched his agent obliterated by a seventeen-tone commercial truck. Roarke had earlier been a member of the Behavioral Analysis Unit but had transferred out when it began to affect him personally. Now, one of his men who had been undercover is dead...and he knows that he was murdered. As a senior agent, he is able to seek approval from his boss to find his agent's killer, and he's starting with the woman he had seen directly behind him when Greer had died by a seeming accident. For me, the book was clearly driven by the characters...Roarke as a child was immediately drawn to the FBI and retained his desire to join through school and into adulthood. It did surprise him that he chose to move into a different department. But as he started "hunting," he met with a former mentor of his and was once again aware that he had a special knack for the work. He found he was getting excited as he started back out on his own, searching where to begin and then following the trail. One of the first things he tried was to have a search made on other deaths that had certain key words highlighting what had happened. He discovered two previous deaths! The hunt had begun! She sits in the rough-riding BART train, headed to San Francisco International Airport. No need for a rental car in this city; the public transportation is faster than any other vehicle and there is no parking to be found anywhere, anyway. Parking tickets are dangerous, to be avoided at all cost; they leave a time-stamped trail. So after disposing of the bleach-soaked bedding in a restaurant dumpster she'd descended one of the escalators on Market street, to a BART stop and bought an eight-dollar ticket to SFO. She wears a tailored charcoal overcoat, her hair is tucked up on a black, short wig, and she carried nothing but a rolling carryon bag, which gives her the appearance of dozens of others on the train, just another business traveler on her way out of town. She feels a profound calm; there is always that feeling of respite when an encounter goes so perfectly, to its highest and best conclusion. Only one thing mars the feeling of peace. The man she saw across the street is law enforcement. Too observant to be anything else, too vigilant; it was in his clothes, his posture, his eyes. She thinks back over every moment, fixing each second in time, examining it. Not police; the cut of the suit said FBI. And he had seen her...but then, there had been nothing to see. The truck had been too big, too fast. Nothing too much to concern her. Still, she will not stay another second in the city. She will find a car and take a circuitous route, go along some way where there are no people, just her and the car, no need for contact. Everything will be revealed, as it always is. It is, after all, a whole week until the day. As she sits, rocking slightly with the movement of the car, the train screeches metallically on its tracks, a surreal and disturbing sound. A weathered man is staring at her from several seats away, unkempt and on drugs at least, probably homeless, but he has the look that she knows so well. She is more and more tense as he stares, her breath coming harsh in her throat. The sound of the train feels like screaming. Her hand goes to her coat pocket, slips inside to finger the straight razor concealed there. As the train slows at the next stop, the man rises clumsily, smiling vacantly, his eyes burning, and walks straight for her. The man in the aisle veers away from her as if he knows what she is thinking and she rouses herself from the fantasy. Of course she has not cut him. This is a trap, part of the Game, put in front of her to taunt her, to trick her into making a mistake. There is no way to take care of him, not now, not here, there are too many people, and she must concentrate on getting clear, leaving with as few ripples as humanly possible. 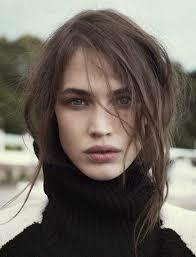 He staggers off the train and her heart quiets again. Her hand stays in her pocket, loosely gripping the razor. As I read further, I began to think about an old movie, titled "Laura" where an investigator falls for the painting of a woman and becomes obsessed. Could Roarke have seen something in her as she stood on the street that day while he waited to meet his agent, Greer." Or is it just my imagination that attached a personal connection between the killer and her hunter...Is she, after all, the true huntress? The suspense is thick with emotion as we witness some of the actions of the mystery lady. But there is also something taunting us not to believe all that we learn about. Then with the surprising ending, there is no real satisfaction. There is a need, a desire to move on... into the next book! Alexandra Sokoloff left me wanting, needing to know what happens in this series. I don't think any other series has affected me quite so much in this particular way. I don't want the murderer to be caught... Quite a dilemma for me, don't you think?! What?!!! There's no doubt for this one...Get the book and tell me what you think?! I'm the Thriller Award-winning and Bram Stoker and Anthony Award-nominated author of the Amazon bestselling crime and supernatural thrillers The Harrowing, The Price, Book of Shadows, The Unseen, The Space Between, and the new Thriller Award- nominated Huntress/FBI thriller series: Huntress Moon, Blood Moon, Cold Moon. Bitter Moon. The New York Times Book Review has called me "a daughter of Mary Shelley" and my novels "some of the most original and freshly unnerving work in the genre." I'm a California native and a graduate of U.C. Berkeley, where I majored in theater and minored in everything that Berkeley has a reputation for. After college I moved to Los Angeles, where I've made an interesting living doing novel adaptations and selling original thriller scripts to various Hollywood studios. In my stories I like to cross the possibility of the supernatural with very real life explanations for any strangeness going on, and base the action squarely in fact. THE UNSEEN is based on real paranormal research conducted at the Duke University parapsychology lab, and BOOK OF SHADOWS teams a Boston homicide detective and a practicing Salem witch in a race to solve what may be a Satanic killing. THE SPACE BETWEEN, is an edgy supernatural YA about a troubled high school girl who is having dreams of a terrible massacre at her school, and becomes convinced that she can prevent the shooting if she can unravel the dream. I live in Los Angeles and in Scotland, with Scottish crime author Craig Robertson. When I'm not writing I dance: jazz, ballet, salsa, Lindy, swing - I do it all, every chance I get.